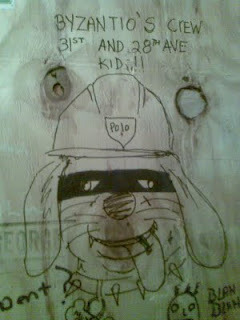 :: Construction Graffiti ::: Astoria represent! I didn't realize self-loathing was a Greek trait. This guy clearly doesn't run with Byzantio's crew!